I hope this Monday brings you lots of smiles. 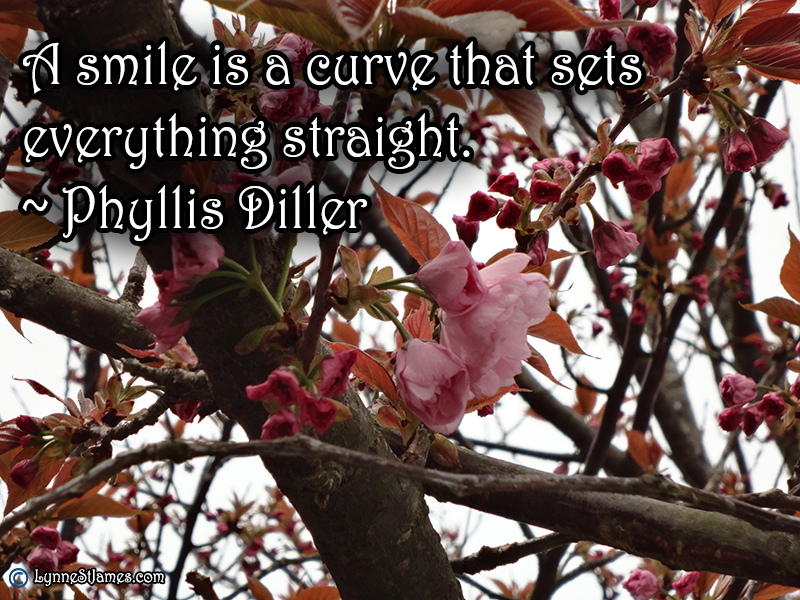 As I was searching for this week’s Monday Quote I wanted something a little different, and then I came across this quote by Phyllis Diller. She was a very funny woman, just thinking about her brought a smile to my lips, and so we have this week’s quote. I hope you all have lots of smiles in your life today and for the whole week. It costs nothing, but spreads joy wherever it goes.